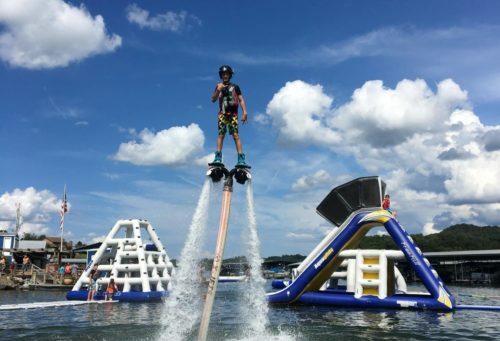 Make your family vacation memorable with one of these cool, kid-friendly activities. See live theatre, pet an alpaca, take a ghost tour, and explore the great outdoors. 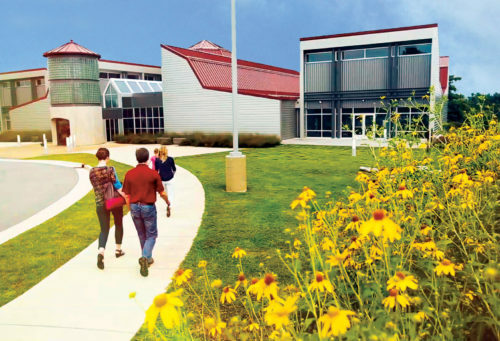 It's always play time in Abingdon, so browse our list of cool activities for kids and decide how you'll play today. The Virginia Creeper Trail is a bucket list trail, popular with families for its accessibility, scenery, and fascinating history. Bike rentals and shuttle service are available from the Virginia Creeper Trail Bike Shop in Abingdon. The gentle grade and easy access points make the Creeper Trail fun for all members of the family, young and old. Bicyclists feel the wind in their hair as they coast downhill from either of two starting points: taking in scenic vistas and trestle bridges from Abingdon to Alvarado Station, or coasting through Jefferson National Forest from Whitetop Station to Damascus, VA.
“Float the Fork” – enjoy relaxed kayaking on the North Fork of the Holston River. Guests kayak for five river miles as this mellow, flat river travels under swinging bridges, a trestle and working cattle farms. 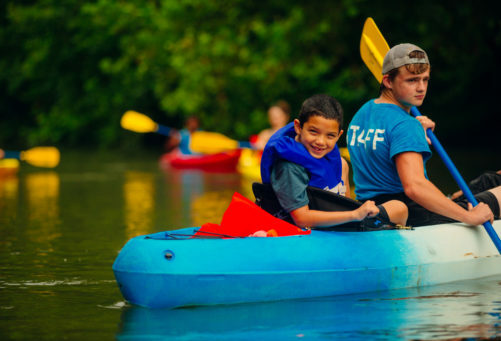 Upon request, children are outfitted with squirt guns to insure some old-fashioned fun on their kayak journey. Considered the best farmers market in the region, the Abingdon Farmers Market offers art, crafts, baked goods and apparel, in addition to produce and meat. On Tuesdays, look for the Farm Fresh Kids booth. Every Tuesday afternoon, children receive hands-on experience in choosing fruits and vegetables, tasting and preparing different foods. After the lesson, children are given a $2 Fresh Buck coupon to spend on healthy foods at the market. Open Tuesdays 3pm-6pm and Saturdays 8am-1pm during the season. 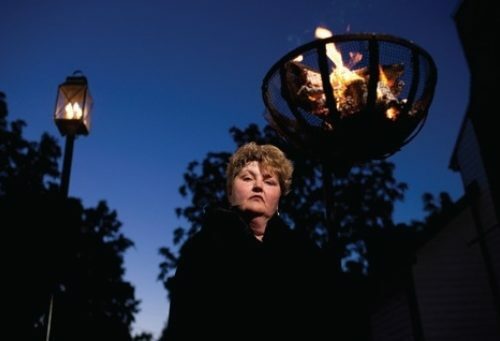 Now in its 19th year, Abingdon Spirit Tours are led by the one and only Haint Mistress, Donnamarie Emmert. This tour is especially popular in the month of October, but it can be reserved throughout the year, weather permitting. It is a two hour walking tour of downtown Abingdon, where visitors are entertained with bits of Abingdon history as well as local ghost lore. Call 276-706-6093 for info. The Martha Washington Inn & Spa is well known for grown up treats like 4-star accommodations and spa services. But now kids can get in on the fun with a mini-golf course that is open to the public. In 2015, The Martha opened a mini links course on its property. The 18 holes feature Abingdon-themed obstacles. Balls and putters can be rented at the front desk, and the course is open during daylight hours. Get kissed by an alpaca! 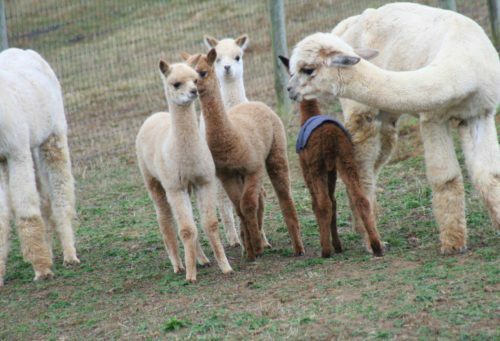 Learn more about these friendly relatives of the llama at Dreamland Alpacas. The farm is open to the public, with a gift shop featuring products made from the cozy soft alpaca wool. In Meadowview, VA, just 15 minutes from Abingdon. The state theatre of Virginia, Barter offers a diverse mix of musicals, plays and comedies. Many plays on the main stage are appropriate for older children. The Barter Players present theatre for young people, ages 3 and up. Call the Barter Theatre box office for information on specific plays. Youth tickets and family packages available.